Unless you’re currently following the latest raw food diet, chances are you need an appliance or two in your kitchen to help you cook food each day. There are many options available to help you. 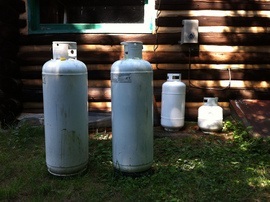 One of these is the oven, which is a device used to heat food evenly until cooked. Many people have a “conventional” or full-sized oven in their homes, but this isn’t always necessary or practical. Therefore, many people wonder if a toaster oven or countertop oven would make a better choice. We’ll outline the differences between the two below, so you can determine which one will be a better fit in your home. In many regards, a toaster oven is simply a smaller version of a conventional oven. Both work in similar ways, but a toaster oven saves space because it can be placed on a counter or tucked away in a cabinet or closet when not in use. Many people believe that toaster ovens cook faster because they are smaller, but this isn’t the case. Conventional ovens are better insulated, so they get up to temperature quicker and hold the heat better. Therefore, despite the smaller size of a toaster oven, your cooking times won’t vary. A toaster oven, however, saves energy. The smaller oven uses less than half the amount of energy as a full-sized oven, making it the greener choice. A toaster oven can accommodate about a half-pan of cookies, muffins, scones, and other treats. If you’re cooking for a large family or holiday dinner, however, a full-sized oven can hold a turkey and one or two trays of side dishes at a time, while a toaster oven cannot. For busy kitchens, investing in both may be the ideal answer, as the toaster oven can be brought out to supplement the full-sized oven when needed. Toaster ovens don’t require installation. You just unpack them, set them on the counter, and plug them in. You can also move them from one location to another when your kitchen gets crowded. Full-sized ovens need professional installation, particularly if they use gas or propane 1 as fuel or if you are installing a wall oven. Electric ovens, especially those set between cabinets, usually require professional installation to ensure that the appliance is level, plugged in correctly, and vented if necessary. Wall ovens need specially built cabinets to hold them, and these may require modification on site to get the best fit for the oven. Ranges are easier to install and most often slide easily into place. Toaster ovens have a broad range of prices, starting at $30 for a very basic model. If you plan to use the toaster oven in place of a full-sized oven, most of the better models will cost between $80 and $100. Full-sized ovens typically cost between $1,000 and $3,000 for both wall-mounted and range oven models, depending on the fuel source and number of features. Installation of an oven runs around $162 for replacement of an existing oven but can go as high as $275 for a double wall oven, for a total cost of $1,162 to $3,275. A toaster oven costs about $0.03 an hour to run, a gas oven $0.07, and an electric oven $0.16, making toaster ovens more energy efficient. 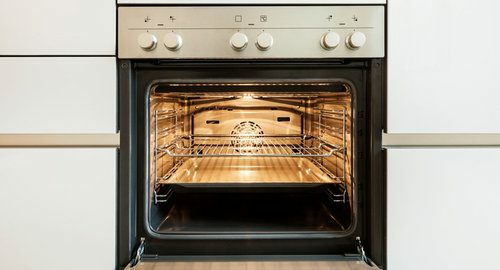 For increased energy savings and speed of cooking, many people invest in convection, which is a method of cooking that circulates hot air through the oven with a fan. The circulating air cooks food more evenly and quickly at lower temperatures. Both conventional ovens and toaster ovens are available with convection. Both cost more than models without convection — costs start at $150 for toaster ovens and $2,000 for conventional ovens. This makes toaster ovens a great bargain for those looking to add convection cooking or baking to their repertoire. Leftovers are a common occurrence after a big meal. Reheating the food in a toaster oven is often preferable to using a microwave. While microwaves are faster, they work by causing water molecules to vibrate, which in turn makes the food wet or soggy. Toaster ovens and conventional ovens heat food evenly, without making them soggy. While you can reheat leftovers in both, toaster ovens are smaller, so they use less energy to accomplish the goal. Conventional ovens offer plenty of cooking space, not only horizontally but vertically as well. Therefore, they offer several different configurations for shelves, allowing you to access the broiler or lower levels according to your needs. Toaster ovens often have fixed racks or fewer rack positions, providing less flexibility. In some cases, this could cause the food to burn or require you to shield your food with foil. During the hot weather, many people avoid using conventional ovens because it heats the kitchen. Toaster ovens produce less heat because of their size, making them more practical during the hotter months of the year. 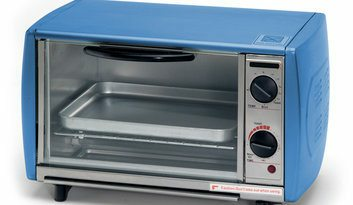 How much does it cost to install a toaster oven or a conventional oven in my city? Cost to install a toaster oven or a conventional oven varies greatly by region (and even by zip code). To get free estimates from local contractors, please indicate yours.